MCT oil and coconut oil are both considered great for health and weight loss. A key reason is MCTs, which are medium chain triglycerides. 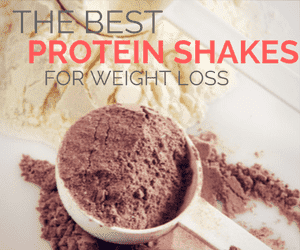 They’ve been associated with a range of advantages, especially for keto dieters. Choosing between MCT oil vs coconut oil can sometimes seem confusing – as the two appear so similar. While similarities do exist, there are also key differences. In this post, we’re unraveling those similarities and differences. To do so, we’re taking a detailed look at coconut oil and MCT oil, along with their advantages and considering when each one is a good choice. As the name suggests, coconut oil comes from coconuts. It is a naturally extracted oil, one that goes through minimal processing. There are also some other fats in coconut oil, including long-chain fatty acids (like oleic acid). In fact, coconut oil just contains around 55% MCTs and most of them are lauric acid (2). Coconut oil is also solid at room temperature. This can be an advantage or a disadvantage, depending on how you’re using the oil. Coconut oil contains many fatty acids that are great for health. For example, oleic acid has been associated with many positive health implications. This is why coconut oil is included in many eating approaches, like keto, low-carb and even paleo. Lauric acid can help kill pathogens, such as bacteria and fungi (3,4). This could potentially decrease infection risk. It has also been associated with improved immune function. The oil can help lower LDL and total cholesterol, while increasing levels of HDL (5,6). Those effects are associated with good heart health (7). Some studies suggest that coconut oil can help promote weight loss (8,9). There are various words used to describe coconut oil, including organic, virgin, extra virgin and raw. The terms aren’t regulated, so companies will mean different things when they make claims. In many cases, virgin or raw coconut oil is created by simply pressing the coconut flesh (10). There is then a filtering and packing process. This approach creates coconut oil that is basically unmodified. Many companies will also focus on high-quality coconuts. Alternatively, some companies use a chemical-based approach. This often relies on lower quality coconuts and includes processes like bleaching, refining and deodorizing. Reliable companies are typically transparent about their manufacturing approaches. This means that you can find good coconut oil by paying close attention to the labeling and reading the company’s website. Always be sure to check. Labels like virgin or raw may be the first indication of quality, but the company won’t always mean what you expect them to. Coconut oil is often used simply as a healthy fat. It is a powerful dietary choice for this reason alone. The oil is also versatile. You’ll find it used in many recipes, especially ones that benefit from the coconut flavor. The Coconut Mama offers useful information about learning to cook with coconut oil. Coconut oil is also a skincare ingredient. It is often included in recipes that use cocoa butter. Studies show that it can increase the skin’s moisture content (11,12). The presence of lauric acid and many other fat types means a broader range of potential health benefits. This suggests that coconut oil promotes overall health better than a more concentrated source of MCTs would. Coconut oil is easy to find and many local stores will stock it. This is a natural product and has been through less refinement than most other cooking oils. Coconut oil has a higher smoke point than MCT oil, which may be relevant for cooking (13). Coconut oil is not a concentrated source of MCTs and mostly contains lauric acid. As such, it isn’t digested as quickly as oil high in C6 and C8 MCTs. This means fewer keto benefits. You need to pay close attention to the labels to make sure the oil isn’t refined. Coconut oil doesn’t have as many health benefits as MCT oil. It is also less satiating (14) and may be less powerful for weight loss. Who is Coconut Oil Best For? Related Article: What is the Best Coconut Oil to Buy for Cooking? MCT oil has become incredibly popular. The oil is a more concentrated source of MCTs. It is also liquid at room temperature and doesn’t have any recognizable flavor. This combination of features makes it extremely appealing. You get the most relevant benefits of coconut oil, without the flavor or the less appealing fats. MCT oil has also been linked to many different health benefits. Energy. MCTs are quickly metabolized. This makes them an immediate source of energy (15). They may even cross the blood-brain barrier and provide energy to the brain (16). Weight loss. MCTs can increase fat oxidation and metabolism, while lowering fat storage (17,18). Studies also show that MCTs can help decrease hunger, which may promote weight loss (19,20,21). Cognition. Studies have linked MCT oil to various cognitive benefits, including improved memory and recall (22). Keto flu. MCT oil is often recommended when you begin a keto diet. It can help reduce keto flu symptoms and make the transition easier. Hormones. As a source of healthy fats, MCTs may help to promote hormone creation and balancing, leading to more desirable hormone levels. There are three key types of MCTs: Caprylic acid (C8), Capric acid (C10) and Lauric acid (C12). As a general rule, the smaller the chain, the faster the MCT is digested. In fact, lauric acid isn’t always considered a true MCT, as it is processed differently in the body. The faster processing should mean that the smaller MCT chains offer more keto benefits and are better for energy. This area hasn’t been researched in depth, but the theory is reasonable. There is a fourth type of MCT: Caproic acid (C6). But, you won’t see this one in MCT oils due to its flavor. MCT oils vary in their MCT composition. Many will contain caprylic, capric and lauric acid (C8, C10 & C12), although the exact composition won’t be the same. For example the MCT oil from Sports Research contains roughly 38% C8, 31% C10 and 31% C12. Brain Octane Oil from the Bulletproof brand just contains C8 MCTs. The same is true for the MCT oil from Perfect Keto. The brand Nuton also has a C8-only oil. This one is interesting, as the brand is fairly obscure but the product is cheaper than most other C8 oils. In contrast, the MCT oil from Viva Naturals is 60% C8 and 40% C10. Left Coast Performance has a similar product, which contains 56% C8 and 44% C10 MCTs. If you’re after keto benefits, the C8-only or C8/C10 brands are probably the best choice. It’s not clear whether there is a notable difference in outcomes between the two types, but C8/C10 brands are typically less expensive. You may need to experiment to find the best solution for you. Related Article: MCT Oil vs Brain Octane Oil – What’s the Difference? MCT oil is particularly important for keto dieters, helping to boost ketone levels and lower keto flu symptoms. MCTs are digested faster than other types of fats. As a result, they provide an energy boost, without increasing blood sugar or insulin levels. The compounds are also digested easier than other types of fats. This makes them particularly relevant to anyone with digestive problems. MCT is easier for the body to absorb than coconut oil, as it has smaller molecules (23). MCT oil tends to be more processed than coconut oil. This isn’t a huge problem if you choose a good brand, but it is a difference to be aware of. It is typically more expensive than coconut oil, especially if you want C8 MCT oil. The lower concentration (or absence) of lauric acid may mean fewer overall health benefits. MCTs can be challenging for your digestion, especially at first. This means that you should start slowly, often with just a half a teaspoon at a time. Only increase your dose once your body has adjusted. MCT oil is less versatile than coconut oil. You can still include it in some recipes or stir it into food (like yogurt). But, oil can alter the texture of some meals and it won’t always be suitable. There are also sourcing concerns. MCT Oil is often made from coconut oil, palm oil or a combination of the two. The health benefits are roughly the same, but the palm industry is heavily associated with deforestation. Many people choose to focus on coconut-sourced MCTs instead. Who is MCT Oil Best For? MCT oil is most relevant to anyone on a keto diet. The oil helps promote ketosis, while reducing keto flu symptoms. The energy boost it offers is also very relevant, as anyone on keto cannot rely on carbs for energy. What About Fractionated Coconut Oil? You might also hear the phrase fractionated coconut oil. This essentially refers to MCT oil from coconuts, as the oil is created by the distillation, fractionation and processing of oils rich in MCTs. There are clear differences between MCT oil and coconut oil, along with benefits of each. So, which one should you choose? The answer heavily depends on the benefits that you’re looking for. Most authors will say that MCT oil is healthier, especially the C8 versions. MCT oil contains a higher concentration of MCTs – and these are associated with most of the health benefits. Additionally, coconut oil does contain a wider range of fats, including some that are not digested as well. Despite this, coconut oil has some advantages too. Many of these come from lauric acid. Lauric acid is a C12 MCT, one that behaves differently in the body. It is a key component of coconut oil, while many MCT companies cut it out entirely. Lauric acid doesn’t behave like other MCTs, so it’s not optimal for ketosis. But, it does have other health benefits. For example, the site Wellness Mama talks about how lauric acid can improve immune function. Which is Best in Coffee? The official Bulletproof coffee relies on MCT oil. Specifically, it uses Brain Octane Oil (a C8 oil from the Bulletproof brand). But, many other people use other types of MCT oil or simply coconut oil. The end result is similar in each case. The decision comes down to which you prefer and the benefits you’re looking for. You can also try MCT oil powder if you want something that’s a little easier to use. Both types of oil can promote weight loss. They’re a key source of healthy fats and can help keep you satisfied. If you’re on a keto diet, then MCT oil may be a better choice. It can help you get into ketosis faster and stay there. MCT also has more satiating effects, along with positive impacts on the metabolism (24,25,26). This is true for all diet types. As a result, MCT oil tends to be the best choice for weight loss. You can also easily add it into your coffee or mix it in with many liquids. The tasteless nature of the oil makes this an effective approach. Coconut oil tends to be cheaper and less refined. It is also used in more recipes, such as keto fat bombs and many keto snacks. You can buy MCT oil powder, which mixes easily. However, this is pretty expensive and isn’t often used in cooking. As a result, coconut oil tends to be the more practical option. MCT and coconut oil both have many advantages. Ketoers often lean towards MCT oil for the energy and keto benefits, while other people may prefer coconut oil for its price and practicality. Research suggests that MCTs are more powerful for weight loss (27), which may be another reason for focusing on MCT oil. You could also just keep both on hand. Many places, like the site nootropedia, suggest that the best health benefits come from using both types of oil in your diet regularly. For example, you might use coconut oil as a cooking oil and supplement with MCT oil (perhaps by drinking keto coffee). SUCH GREAT INFORMATION!, TRYING TO LOSE WEIGHT & EAT HEALTHY.